be shutdown effective June 1, 2014. Ubuntu One was more than a cloud storage provider, it also had a content purchasing aspect to it as well. For instance you could purchase music then store it in the cloud on Ubuntu One similar to ITunes. I started using Ubuntu One when it first appeared in Ubuntu 9.10 (released October 2009) as a desktop client. The service was great it keep my local files in sync & backed up in their cloud server. The software actually worked and I used that for a few years as my desktop backup strategy. As far as I know this is the first cloud storage provider to shut its doors and it should get people thinking about the data they hosted on cloud storage providers. This data is the user's property and is just as important as any of their other assets. So when hosting your data on cloud storage providers I suggest that users devise a simple strategy on retrieving their property (data) from these cloud provider servers when situations such as Ubuntu One’s shutdown occur. Get your data back then delete all traces of your data on their service. 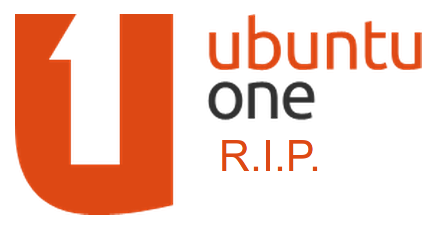 So all you fellow Ubuntu One users retrieve your data from their servers and find a new home for it. I've been using Dropbox but there are plenty of other providers out there.